Based in the United States, the Trio has performed to similarly tremendous acclaim for audiences on major chamber music series in Los Angeles, New York, Boston, Philadelphia, Washington, D.C., Tucson, Newport (RI), Portland (OR), San Miguel de Allende (Mexico), and New Orleans. The group’s 2018-19 season features performances all over North America, including those at Portland (OR) Friends of Chamber Music, Art Power! at UC San Diego, and the Corpus Christi Chamber Music Society. 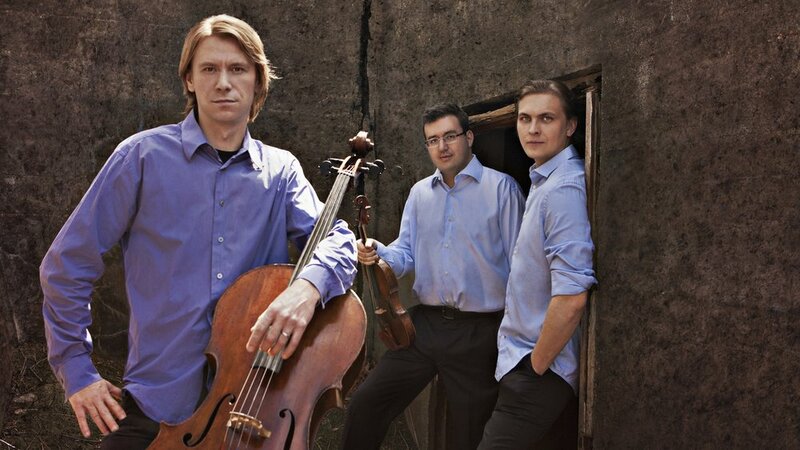 Recently signed to a multiple-album recording deal with Reference Recordings, the Trio’s debut CD – released in May 2019 – is comprised of the piano trios of Sergey Rachmaninoff: Trio élégiaque No. 1 in G minor; Trio élégiaque No. 2 in D minor, Op. 9; and Vocalise. 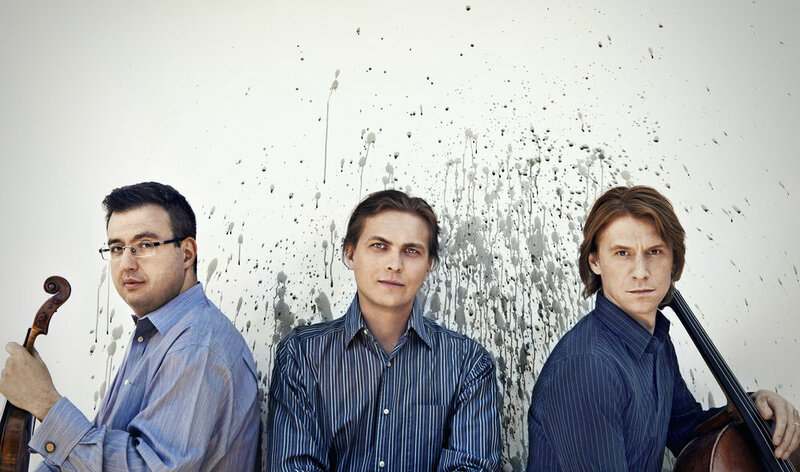 A hallmark of the Trio is its polished skill in performing an enormous variety of music, and its wide, well-thought-out repertoire ranges from Rachmaninoff, Shostakovich, Arensky, Glinka, and Tchaikovsky to Schubert, Beethoven, Mendelssohn, Dvorak, and Brahms – the source of many of their invitations to return. A rarity in the chamber music world, this elite trio is comprised of three musicians who are noted soloists in their own right. In a career already spanning fifty countries on five continents, violinist Misha Keylin is attracting particular attention with his world-premiere CD series of the seven Henri Vieuxtemps violin concertos, released by Naxos. These recordings have already sold over 150,000 copies worldwide and have garnered numerous press accolades and awards, including “Critic’s Choice” by The New York Times, Gramophone, and The Strad. Hailed as “a brilliant cellist” by the legendary Mstislav Rostropovich, Sergey Antonov went on to prove his mentor’s proclamation when he became one of the youngest cellists ever awarded the gold medal at the world’s premier musical contest, the quadrennial International Tchaikovsky Competition. Antonov’s entry into this elite stratum of sought-after classical artists has already placed him on stages at world-renowned venues from Russia’s Great Hall at the Moscow Conservatory to Suntory Hall in Tokyo. And pianist Ilya Kazantsev – hailed by The Washington Post as “virtually flawless” – has performed as recitalist and soloist with orchestras in Russia, Canada, Europe, and the United States. Mr. Kazantsev’s many awards and honors include first prize at the Nikolai Rubinstein International Competition (France); he also won the International Chopin Competition (Russia) and the 2007 & 2008 World Piano Competitions. April 2019 – Please do not edit without permission. Click on an image to download a high-resolution version.